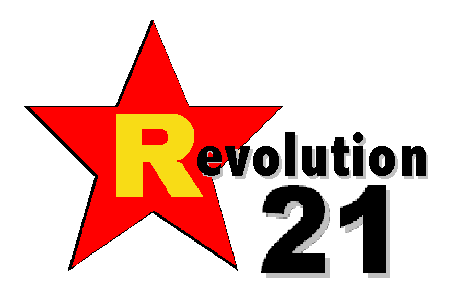 Revolution 21's Blog for the People: Omaha. Monday. 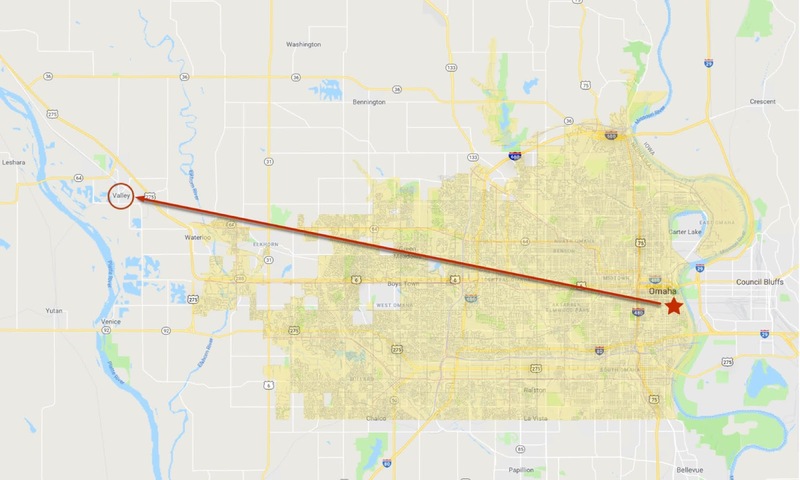 The trip from downtown Omaha to the town of Valley, in far western Douglas County, usually takes about 40 or 50 minutes, depending on traffic. Correction. It usually took 40 or so minutes to make the trip across Omaha and across the Elkhorn River to the suburban town. Today, it took a KETV, Channel 7 news crew almost 4 hours in a backroads trek across a fair swath of the dry(ish) parts of northeastern Nebraska. Then authorities reopened Highway 36, allowing motorists to make it to Valley -- probably in about an hour -- by following a State Patrol guide vehicle on the last leg of the journey. THIS IS the new normal. 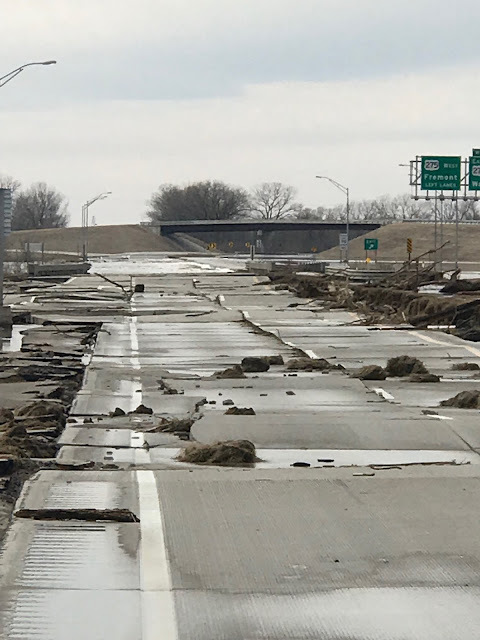 As water recedes on the major westbound routes out of Omaha, we're finding that what was multi-lane highway is now fractured, undermined and occasionally completely washed-away. Or, as they say in New England, "Ayah, ya can't get thayah from heayah."